Haha, gritty’s part of the reason why I like it so much! LOTS of gain to have here. There’s so much opportunity for amplitude modulation, or really any and all modulation. Can also be beneficial to use as an effects send if you use split L + R as dry and wet. 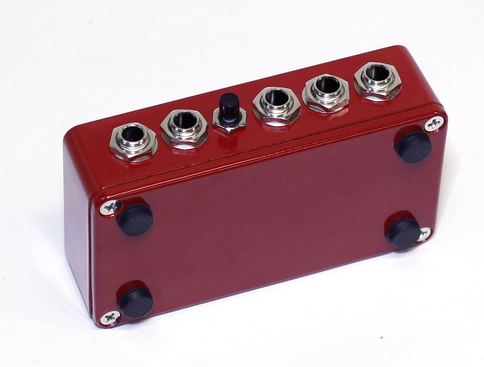 Their I/O modules are also extremely simple and seem like could be really helpful for basic line-in/line-out or 4ch line-in boosting for not much more than you’d pay for parts to build your own. Shameless self promotion - I have a few Ladik modules for sale in a trade thread, including I/Os and VCA. Ladik modules are built well and VJ is great. I would suggest everyone who’s interested in his designs email him about the jack placement - he seems to be very receptive to feedback. If you buy it second hand make sure it’s not from the first production run, it had an annoying hardware bug where moving the volume would change the pan as well (or the other way around can’t remember). Apparently they fixed it on later runs. Disclaimer: my experience doesn’t come from owning it but rather trying it out at a store. For it’s size, what it offers is great. But one of the (non-essential) features that really drew my to it was the scanning in combination with panning. I intended to use that for very subtle effects. However, doing so is impossible because there is a “step” at the beginning of the scanning curve, when a channel starts being affected by it: it jumps from 0 gain to some gain, which is really frustrating. If I remember correctly also the faders are something like a gain offset — fader at bottom doesn’t mean the channel is closed (unless the top pot is at minimum), which is something I’m not a fan of. I would have really liked to like it because the specs and sound are great, but I don’t. I’m dawn more and more towards RxMx for it’s butter smooth scanning and flexible routing, although I’ll have to cover panning from another angle. I have an idea for a minimal mixer but I’m not sure if it exists or could exist. more with the 16n than the grid but both would be nice. I just finished building the eurorack version of the Uraltone mixer. They are located a few blocks away from my home so I got it to show support. I also have their spring reverb. All my other modules are away (except for one VCO for testing) so no demo available. It has a lot of functionality for the price. Started assembling the uraltone. Not too bad a build with one caveat. All the instructions are in Finnish, so been Google translating. 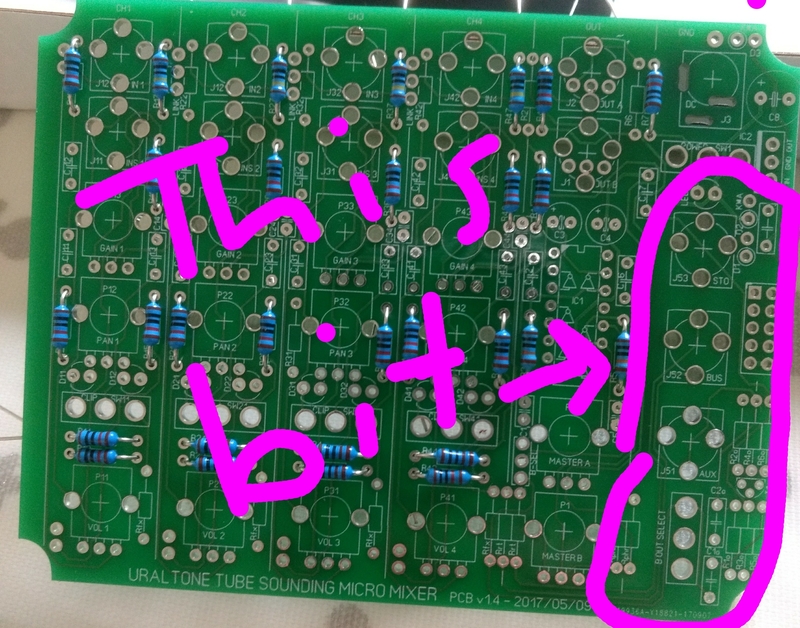 Also the build guide is for the standalone version not eurorack, so I am stuck guessing which resistors go in the section not on the build guide. Have msgd them for clarity. Send me a message if you need better translations from Finnish than Google offers. =) Also, my friend has built the stand-alone version, I can ask him also if needed. I have a day this weekend when the house is wife and child free so going to get it done. It looks relatively straight forward. If you want I can send through the documentation if you’d like to have a look first? I also like the idea of a module with plenty of inputs and inputs, controlled by a grid. I have something similar. I thought I could post it here, in case it might interest someone. So… for info: I’ve built a matrix mixer with a Monome and an ES-8 and a Raspberry Pi (it has some additional functions, it’s not only a mixer), I’m using it everyday it’s working great now. To be continued… There’s no Panning page but that would be easy to add. 16 custom functions (in my case, they’re mapped to randomizers for Strymon pedals, P12 randomizer and control of the looper of Strymon Timeline). Write ( saves the state of the console), Load (console recall) and clear. this is amazing! I don’t know why the idea of RPi/ES-8 hadn’t come to mind before, but this is pretty inspiring! Did you have any trouble getting the various hardware/software elements working together? Thanks ! No, it was quite easy. I had to learn a bit of Linux, but a post on this forum really helped me to set the Raspberry Pi up. The ES-8 is USB class compliant and is recognized directly by Alsa on Raspbian stretch. Serialosc and Puredata are also easy to install on a Pi. The latency is quite low. What about a minidsp module? You can connect a miniDIGI for $30 which adds 2xToslink and SPDIF inputs and a Toslink and SPDIF output each - this is a pretty big plus.